His team has reported that the cyclist spent a "relatively good night in the hospital and did not suffer too much from the symptoms of the commotion." Legan bad news from Return to San Juan. The Lotto-Soudal cyclist, Jelle Wallays, is admitted and under observation after suffering a spectacular fall during the second stage of the race in Argentina. Tal and as his team has informed Through an official statement, the Belgian runner has suffered a brain concussion due to severe head trauma. The part of injuries ends with the loss of one tooth, the breakage of another, a cut in the upper lip and a fracture of mandibula. Because of the concussion, Wallays spent the night under observation in an Argentine hospital. 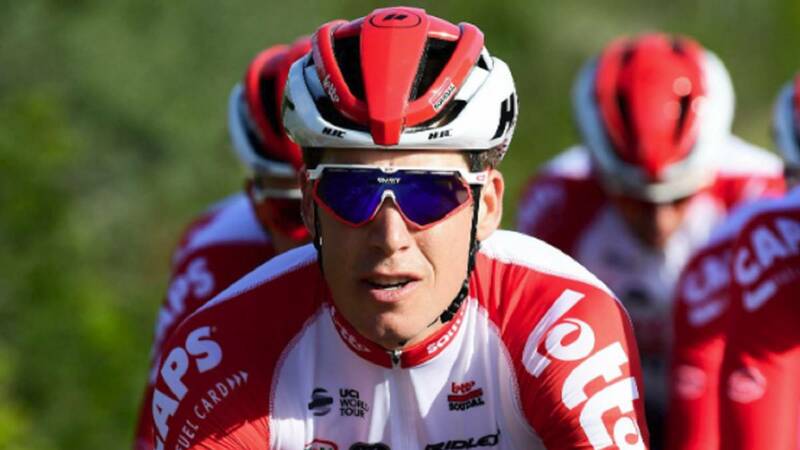 The team reported that cyclist spent a "relatively good night in the hospital and that he did not suffer too much from the symptoms of the concussion" . Also, because of the fracture of the jaw, Wallays will not be able to eat solid food during the next weeks. At the moment, the Lotto-Soudal has not informed of the time that the Belgian will cause loss.